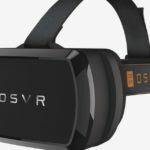 Intel partners with a small headset company called IonVR to create a mobile headset that can map the world (and your hands) without wires, controllers, or external cameras. 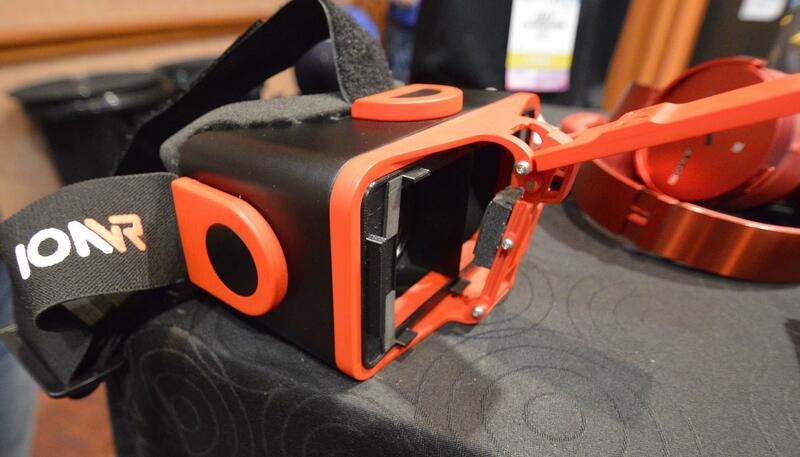 IonVR is a relatively new VR device that looks like many other small-batch headsets: a $229 3D-printed box whose front plate can fit smartphones ranging from 4.5 to 6 inches. 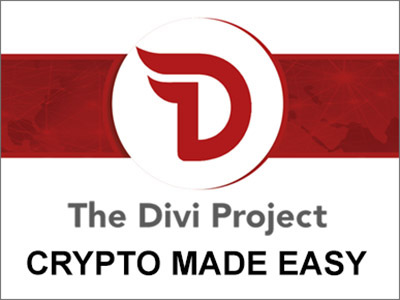 Its unique selling point is a promise to “nearly eliminate” motion sickness, using a mysterious optical technology called MotionSync. 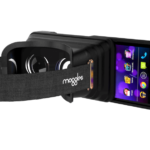 But thanks to its partnership with Intel, the company’s latest design uses Intel’s RealSense Smartphone Developer Kit, an Android-powered prototype whose sensors can gather a dense array of visual information from up to 3 meters away. 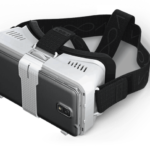 Applying the principles of Google’s spatial mapping tech called Project Tango, IonVR and Intel are planning an ambitious take on mobile VR. 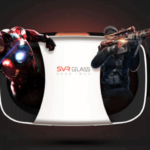 Using the kit requires swapping IonVR’s normal clasp (which covers some of the sensors) for a custom front plate that can be popped on and off at will. 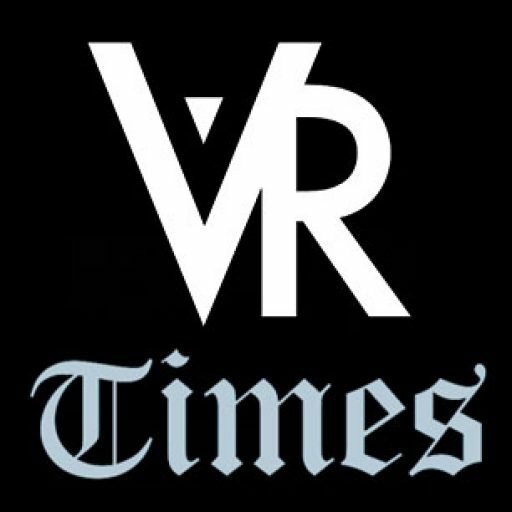 In return, users get the ability to detect real-world objects in VR and walk around a virtual environment, using the front camera as both a positional tracker and a motion controller. Motion controls, wireless headsets, and inside-out positional tracking — the ability to use a head-mounted camera to move around a room, instead of relying on external tracking sensors — are some of the most potentially revolutionary VR technologies. Products like the Gear VR, Leap Motion, and the new HTC Vive Pre have tackled parts of them, but Intel and IonVR are attempting a self-contained package whose tech could one day simply be integrated into smartphones. 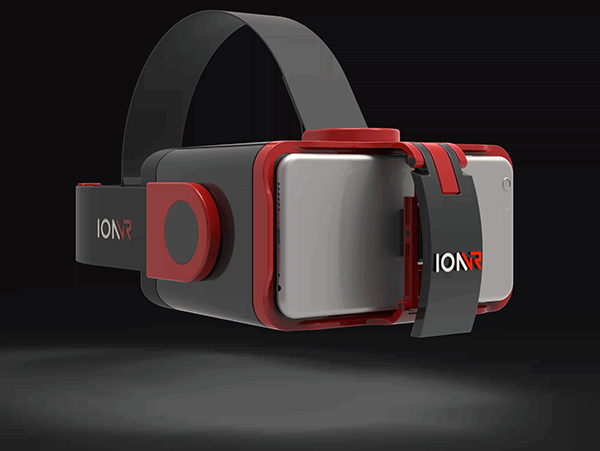 IonVR will ship early this year alongside the Intel RealSense Smartphone Developer Kit, with the goal of attracting developers who will help develop useful applications. 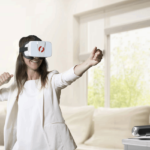 Mobile VR somewhat lacks in delivering seamless natural motion, especially because no consumer-focused company has made a motion tracker that’s ready to completely and smoothly substitute for a controller, mouse, or touchscreen. However, as these technologies continue to develop and become refined, we see consumer VR becoming as what it is intended to be.